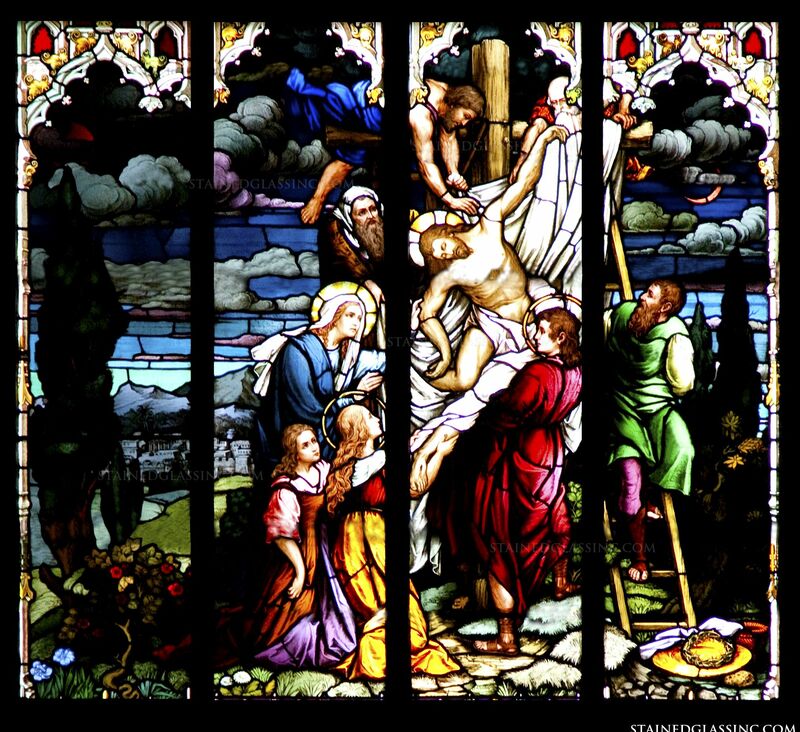 The Lord is taken down from the cross and prepared for burial. 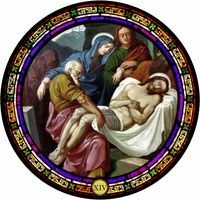 Christ is being wrapped in a white linen by His friends and family. 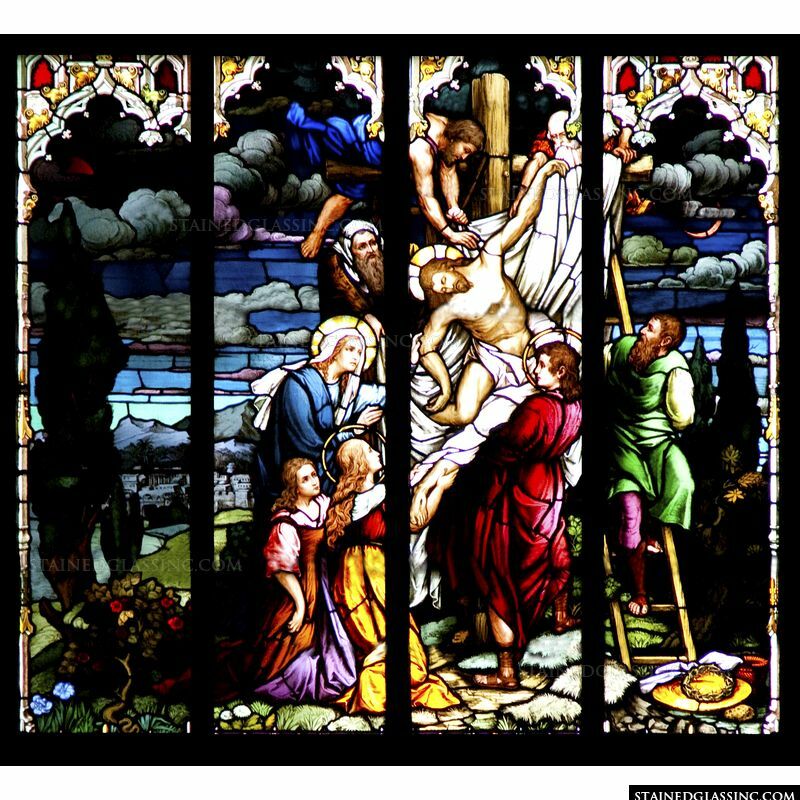 A four panel picture with a turbulent pastoral background. 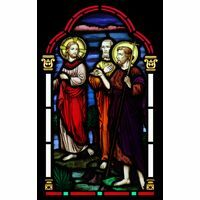 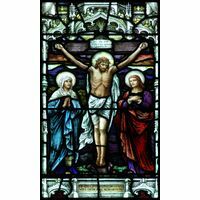 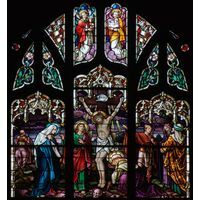 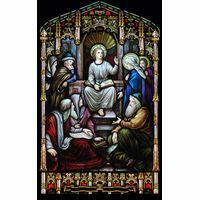 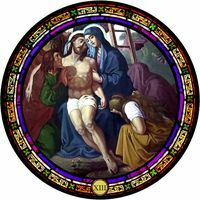 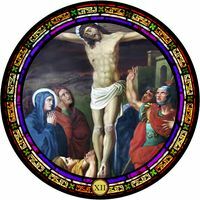 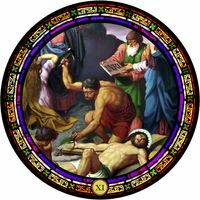 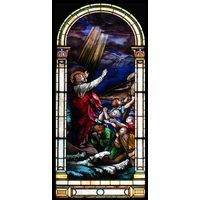 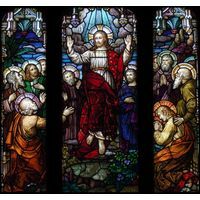 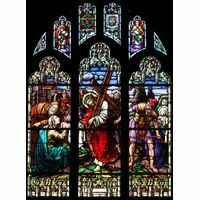 This beautiful custom stained glass window is a timeless and inspiring addition to any Christian home, church or chapel. 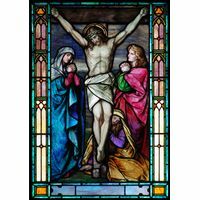 This intricate stained glass panel can be used as a hanging stained glass suncatcher or a window or door insert.